1. Traveling to Morocco: It all started with TANYA!!!! She got my curiosity go a little untamed. Tanya and her friend Melissa were backpacking together and their story/adventure to Morocco had me thinking of leaving Europe for a week and wander freely to Morocco. So that is exactly what I did…well kind of. I was suppose to go from Lisbon to Paris the next morning, since I only had a week left in Europe I wanted to visit Paris, Brussels, and London. Yet, the same time I met Tanya and Melissa, and I also met these two guys, one from New Zealand and the other from California. The guy from California asked me randomly if I wanted to go to Morocco with him for the week, at which I really wanted to yes at the time but I told him let me sleep on that idea. So the next morning, I knew it were a risk to take, but also a once in a lifetime adventure to see a new/exciting culture. As a backpacker, you thrive off adventures!! I emailed my parents/friends a quick email to let them know I was off to Morocco, AFRICA for a week!! I had a feeling that everyone at home, might be freaking out, knowing I am going to Africa and with two guys whom I just met the day before. Yet that didn’t stop me, I trusted my gut feeling!!! My Cali friend and I asked the New Zealand guy if he wanted to come; he was all in for an exciting voyage. On June 23, 05 we took the train from Lisbon to Madrid, plus another train to a very small town/port called Algeciras, Spain. The cheapest way to get to Morocco from Europe was this ferry. The ferry would land in Tangier, Morocco, combined with only an 8 hours long journey to get there, and did I mention we saw Gibraltar!! I thought that was very exciting!!! As usually I didn’t plan anything, I just thought I would wing it. We traveled from Tangier to a small beach town called Asilah. It was the perfect place to surf, suntan, and relax! From there we took the train to Fes, the oldest city in Morocco. I was blown away by culture. We saw the Medina, King’s Palace, and randomly explored the old city’s streets. 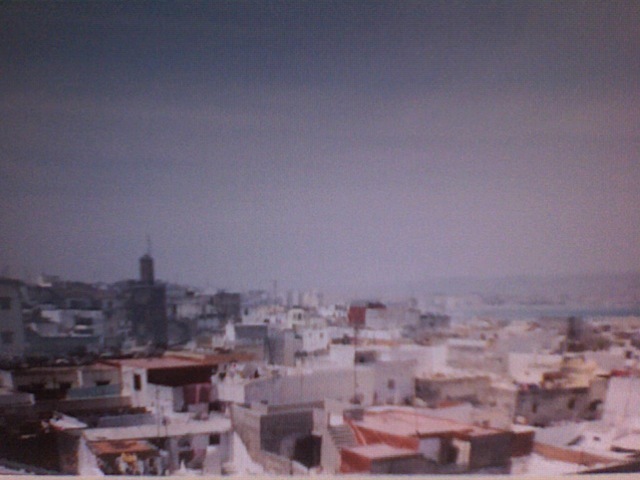 From there we wanted to see the city of Casablanca, however people warned us that it wasn’t safe for us to stay there. So we stayed in a little town only a few miles away called Mohammedia. As a backpacker, you are always looking for ways to save money and find short cuts, however staying in four-star hotels, was just that. Oh yes, it was cheap. Starting from 20 – 30 dollars a night for one room!! Amazing!!!! We all wanted to go to Marrakech, yet we were press for time. Due to time, we decided to fly back to Lisbon, and yup it was cheap. Well it was only cheap because we took Air Morocco. At this time I assumed it was going to be an “normal’ plane, oh no it was a 1960, pillar, 20 seater aircraft! I was so freaked out! I just wanted to get back to Europe quickly and safe!!! On the plane you couldn’t hear anyone talk, due to the plane noise! Well at least it was only a 2 hour-long journey. 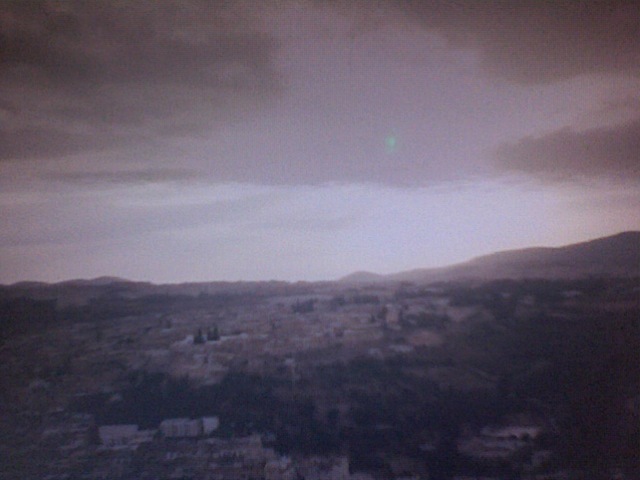 Once we got to Lisbon, the adventure of Morocco was over, but it was quite the adventure. Friendships were made, culture was explored, and Africa was now under our travel belts!!! 3. Mountain Biking, Chiang Mai, Thailand: So I’m in Chiang Mai, Thailand looking for something fun to do! I get an opportunity to go mountain-biking. The pamphlet made it sound fun, you know… 90% downhill, great view of the city… I jumped on the opportunity. So I get to the office. It was a Australian mate who started this business on mountain biking. He was nice, the rest of the group was nice. All good so far. Then he starts talking about equipment. In all honesty, I didn’t know much about mountain biking 3 years ago. So I’m saying to myself “Why do we need all this equipment if we’re only going downhill?”. Oh geez… sometimes I wish there would be a sign from God telling me NOT to get into what I’m about to get into! So hop we go in a truck, we’re about 10 people- some Aussies, some Isralis, some Americans and some Canadians. My guide is a Thai Universitystudent working part-time… we were a great bunch! We get to the top of the mountain, put on our gear, get on our bikes and off we go! Oh man, did I ever think I was going to die! Between the steepness, the mud, the sand, the wind, the rocks…. I have no idea how I went down the mountain and survived! The best part of it all.. I didn’t fall! After a few hours of riding our bikes downhill, we all met up at the bottom for a late lunch. The older Australian man came down with a broken collarbone. He didn’t look too much in pain although he kept on repeating one thing during the remaining of the afternoon- “My wife is going to kill me, my wife is going to kill me!”.